Tag Archives for " Sausalito "
Sausalito, California isn’t a major tourist spot, and that is good because the prices aren’t same like in some cities that attract a lot of attention. Still, Sausalito draws in a good amount of tourists, and they have quite a good number of choices when it comes to eating. The majority of the restaurants in Sausalito are owned by locals, and the price doesn’t change during tourist seasons. You might find some exotic cuisine, but the majority of these locations serve straightforward and tasty meals that won’t cost you a fortune. 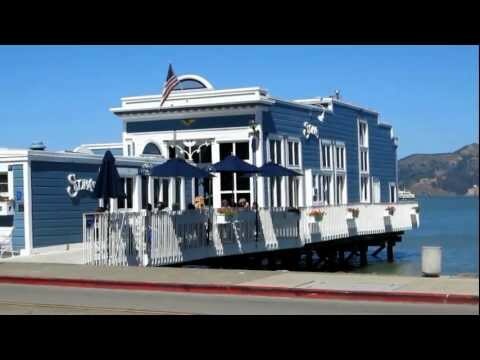 A small breakfast and brunch restaurant that is located at 1917 Bridgeway, Sausalito, CA 94987. It’s open from 7 in the morning until 2:30 PM, and it serves only American breakfast and lunch classics. If you are a fan of some traditional meals that are served by people who have been preparing them for over a decade, then you found a right place. Individuals that are looking for something interesting might like “Le Garage”, a small establishment that serves French food. You can find this restaurant at 85 Liberty Ship Way #109. The name comes from the fact that the restaurant is an auto shop that was converted. The parking area might not be suitable, but the food is excellent for those that love French cuisine. Is located at 1 Gate 6 Rd and it’s a family-operated café that serves simple breakfast and lunch meals. This place is perfect for people that like peace and quiet as well as simple food like omelets, smoothies, and sandwiches. The service in this place is exceptional even though the price is a bit inflated. 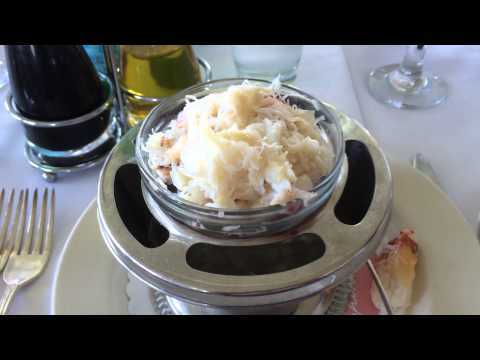 One of the, if not the best location to eat through the day in Sausalito is the “Poggio Trattoria,” a Northern Italian restaurant that serves dishes that are made out of produce that is grown in the nearby garden. People that like fresh, and Italian, the cuisine will like this place even though the price of some dishes is higher and that is due to the cost of some fresh ingredients the restaurant has to buy. Sausalito has a perfect geological position as it oversees the Richardson Bay. The view one can get from some of the rental locations is beautiful, and thus it raises the price of the property that is near the water. It’s all about the view, but we also think about affordability, and thus we will recommend some locations that have an average price and a great view as well. Sausalito has many hotels, but you should avoid them as their price is same as the price of multi-room houses. For example, you got a Garden Studio that has two rooms, and it offers everything from the internet to the kitchen. The price of this location is 125 dollars per day with a minimum of two days of rental. If there are more than two people, then the price goes up 25 dollars per person. Another perfect place can be found just nine blocks away from downtown. It has an excellent view of the Bay and Tiburon, and the view of the sunrise is perfect. The price per night is 200 dollars with a minimum deposit of 500$. This deposit will cover cleaning fee as well. There isn’t any limit for some people, but this place is perfect for up to four individuals. The price of the lodging is mostly due to the expensive interior, but the location plays a part in the price as well. It’s located on the Caledonia Street that has some excellent shops and restaurants. People that don’t fancy being too close to the pier can rent a house on the nearby hillside which is around four blocks away from the water. The location we are talking about is located among many restaurants and shops, and thus it won’t take you a lot of time to walk to one of the international restaurants or to visit one of many shops around the area. These three locations are just examples of the property you can rent in Sausalito, California. Check our website for more property that you can rent as well as addresses and Google map of all of the locations we offer. If you are staying in one of the fine accommodation places that Sausalito has to offer, you may choose to have dinner “in house” on one of your overnights. However, many people prefer to get out and about, maybe have a few drinks and enjoy a nice dinner in the city, away from the hotel scene. Luckily, Sausalito has many great spots where you can dine of an evening, regardless of your tastes or budget. Being so close to the sea, it is almost criminal to visit this city and not sample some fish dishes! And Scoma’s has some of the freshest seafood you could imagine. This is the number 2 rated restaurant in all of Sausalito on Trip Advisor, with a pretty extensive menu. Although a little on the pricey side, it is well worth it for that special night out. Who does not love a good burger? I know I find it very hard to turn down quality meat in between soft buns! This is the leader, the number 1 restaurant in all of Sausalito according to Trip Advisor. And it is for good reason. The selection of burgers is immense, ranging from beef to fish, and there are a great number of salads as well, should you be in the mood for a healthy option, or choose not to eat meat. Local wines, an extensive cocktail menu and freshly squeezed juices round out what is a fantastic menu. No, this is not a James Cameron themed movie experience, rather one of the finest Indian restaurants in all of Sausalito. Sometimes, I like to heat things up a little on the palate, a craving only a good curry can satisfy. And Avatar certainly can scratch that itch. Featuring a menu that is a fusion of multiple ethnic tastes, there is something to satisfy everybody. The Jamaican jerk chicken enchiladas come highly recommended by yours truly! When it comes to pizza, many of us are very fussy. Quality pizza can be hard to come by, but Bar Bocce has you covered. The freshest ingredients, perfect wood fired pizza, an amazing selection of starters and desserts to die for are all on offer here. Best of all, you can get an entire 4 course meal for just a few dollars – this place in no way breaks the holiday budget! If you are into sushi, you must visit Sushi Ran. Sister restaurant to the famous Nomica in San Francisco, here you will find an astounding array of the finest sushi. Everything you can imagine is featured on the menu, and this place also holds events regularly too, from cocktail menu introductions to tasting dinners and much more. If you are in the mood for Maki, head down here, but be prepared to part with some dollars, this ain’t gas station sushi! Ok, so you have decided that Sausalito is the place for you this year, for you & your families’ vacation (maybe my blog helped you settle on this decision!). You will no doubt be interested in the best places to stay while you are visiting this hidden gem of a city. Luckily, I’m here to help you out. I have visited Sausalito countless times down through the years, so my wealth of experience should prove useful to guide you in this search. 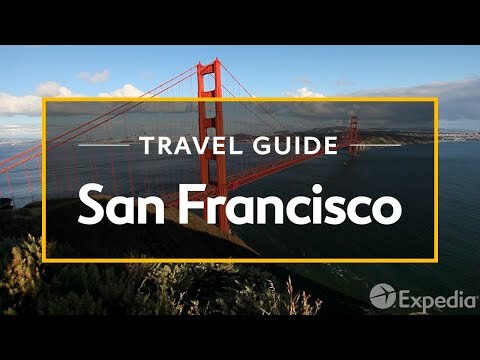 Sausalito, being a small city of just over 7000, has 4 hotels to choose from, all highly and thoroughly reviewed on Trip Advisor and similar websites. Let’s begin! This hotel looks like it belongs in a movie, but mere pictures cannot do it justice. Rated the top hotel in Sausalito, it is by no means a cheap spot. However, the costs are well justified. With stunning views across the San Francisco bay, this luxury hotel can cater to your every need. And with shops, art galleries and restaurants all within a short walk from the hotel, you will be very centrally located. 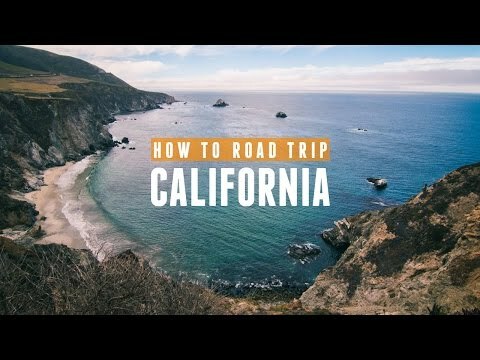 If you wish to visit vineyards such as Napa, a short drive north will bring you there. Definitely one to put on the bucket list. If you are after something a little less expensive (or a lot, depending on your budget! ), Hotel Sausalito has everything you want. Ideally located, with wonderful views, Hotel Sausalito prides itself on having extremely clean rooms, perfect for the weary traveller. And with it being just steps away from the Ferry terminal, you can easily head off on adventures for a nice day out, being dropped back to your door once the day has ended. Perhaps your stay in Sausalito is short term, or maybe you prefer to stay in “B&B” style accommodation in order to save some dollars. If so, you can’t go far wrong by booking in to the Gables Inn. Right in the centre of downtown Sausalito, you can look forward to continental breakfast every morning, amazing views from your own private balcony that overlooks San Francisco bay, and wine & cheese receptions each evening. As it is perfectly located, you will have direct access to shops, restaurants and much more. If you like nothing better than whiling the hours and stresses of life away in the spa, then this hotel has got what you need! Offering unrivalled views, right from your room, the Casa Madrona Hotel & Spa is truly unique. Renovated in 2014 (costing millions of dollars), the accommodation offered is spread across guest rooms, cottages and even an 11 room mansion! The Alexandrite Suite as it is called is spread across 5000 square foot. As you can see, there is no shortage of quality places to stay in Sausalito, regardless of your taste or budget level. Most will have astounding views, and will make you fall in love with this city.